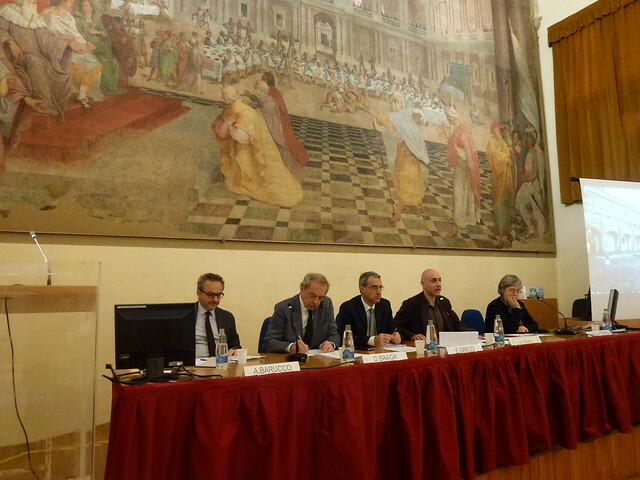 Convened in the framework of the New-Med Research Network, the conference is co-organized by the Department of History Cultures Civilizations of the University of Bologna and the Istituto Affari Internazionali (IAI) in Rome, with the collaboration of the Italian Ministry of Foreign Affairs, the OSCE Secretariat in Vienna, the German Marshall Fund of the United States (GMF), and Compagnia di San Paolo. Three internationally renowned scholars of Middle Eastern and Mediterranean affairs will shed light on some of the main root causes of the challenges currently affecting the Middle Eastfrom the perspective of a specific thematic issue: “Ignorance”. The latter - together with "Fear" - is the topic chosen for the academic year 2016/2017 by the the University-Based Institutes for Advanced Study (UBIAS), a network composed by 32 research institutes worldwide. It is currently one of the most internationally debated concepts in the fields of natural and social sciences. The main analytical question of the meeting will therefore be: What we ignore about the Middle East?